All Veterans Memorial. 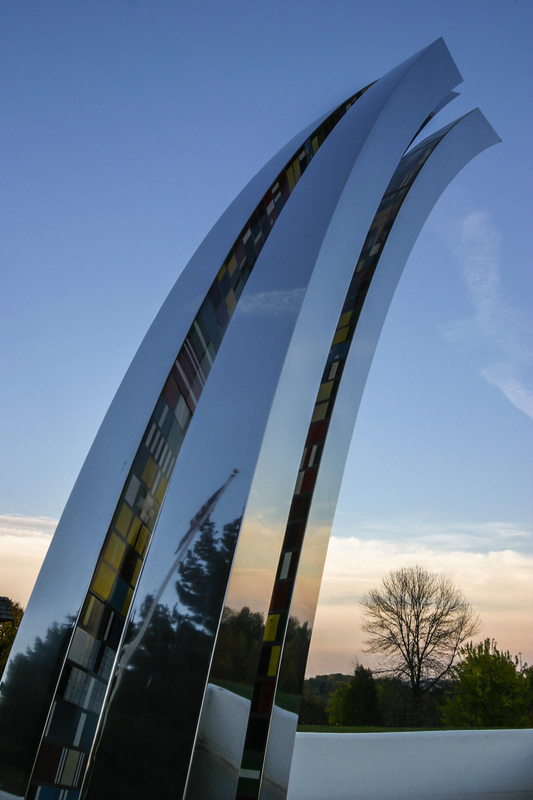 Located in Marshall Park, adjacent to the Arboretum proper, the All Veterans Memorial is a tribute from the people of this community and area to all those who have served, and will serve, in the Armed Forces of this nation. The Memorial stands graciously in Marshall Park which was a gift to the City of Dubuque in 1975 from Jackson “Mac” Marshall, one of the first thirteen men recruited from this area for duty in World War I. Operation Desert Storm Memorial. In memory of the brave men and women of the Persian Gulf War who died in defense of freedom while serving their country and military during Operation Desert Shield and Operation Desert Storm.